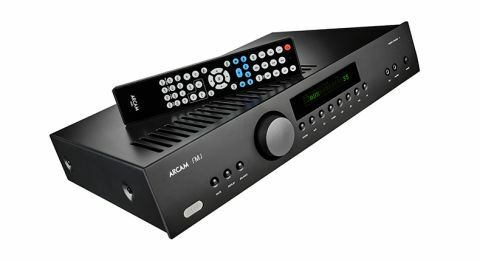 Arcam A29 review | What Hi-Fi? Arcam’s formidable reputation has been built on the sensible. It has always made practical products coupled to solid build and fine sound. There has been some variation, of course, but on the whole that’s what the brand does – the £700 Award-winning A19 being a perfect example of this. Judged on appearance alone, that model would appear to be the basis for its bigger brother, the A29 on test here. But that’s not the case, as Arcam has gone for something far more adventurous. The company’s engineers have chosen to look towards its more upmarket amplifier designs for inspiration instead, using their clever Class G electronic circuitry as the foundation for this new amp. Class G is a circuit configuration that switches between multiple power supply rails to deliver lots of output with low levels of distortion without a matching thirst for electricity. In theory, pretty much ideal then. The result is a relatively compact, but hefty, integrated with a claimed power output of 80W per channel. But that power figure doesn’t tell the whole story. Even though this is a paltry 5W per channel more than the Audiolab 8300A – itself a rather substantial performer – the Arcam’s delivery is considerably more muscular, as a quick listen to Stravinsky’s The Rite of Spring proves. The A29 sounds huge, more like a unit with hundreds of watts at its disposal, with a sense of authority no rival we’ve heard can match. That authority extends to low frequencies, which are rendered with class-leading weight. There’s plenty of composure here, and the ability to organise the music’s myriad of instrumental strands into a convincing whole. This quality never wavers, even at higher volume levels. Tonally, things are smooth and refined. There’s little trace of harshness even when the amplifier is being pushed hard. Instruments are painted in a full-bodied manner and precisely focused in an impressive expansive sound stage. Compared to this, rivals such as Audiolab’s 8300A sound relatively small scale and a little cluttered, even though by general standards they certainly aren’t. Switch to Mountain Sound by Of Monsters and Men and a few cracks start appearing in the Arcam’s case. Yes, it sounds unusually big and powerful but it also lacks the sheer energy and drive of the Rega Elex-R, failing to capture the rhythmic precision of that amplifier or its dynamic subtlety. Vocals lack a bit of enthusiasm, and the song’s upbeat nature is toned down to give it a more relaxed, softer-edged feel. Such an approach has a certain appeal, but it loses a degree of excitement in the process. We run through a range of music from Bruce Springsteen and OutKast all the way to Beethoven’s Moonlight Sonata and the results are much the same. The Arcam delivers a smooth large-scale sound with ease but loses out to both the Rega Elex-R and Audiolab 8300A when it comes to agility and transparency. We like the A29’s phono stage. It’s a moving magnet design and has a fine grasp of insight and dynamics. Noise levels are decently low too, so it’s a good effort. The same can be said of the headphone output. It retains the sonic strengths of the speaker connections, and that isn’t always the case. Phono and headphone circuits are usually an afterthought in most cases, so it’s pleasing that Arcam has taken such care in designing both. Moving away from sound quality there’s much to admire here. Build is as solid as we’ve come to expect from the company’s FMJ products. Finish is good too, though we think the Audiolab’s nudges ahead thanks to crisper edges and more positive-feeling controls. The A29 is easy to use. It has a good range of line-level inputs, certainly enough to cope with some pretty complex stereo systems. Even the phono stage can be converted to one through the set-up menu, handy if you need more than the six offered. There’s also a preamp output if you want to upgrade to biamping at a later date. The A29 lives up to Arcam’s heritage. It ticks most boxes, offering a useful range of features while serving up an easy-going but still insightful sound. It’s up against some mighty talented competition, though.